We are proud to present premium quality Wintrobe tube that is made from extra ordinary Borosilicate glass that offers durable and long lasting structure to them. The supreme tubes, manufactured by us, are praised by our clients for neat and clear calibrations. The superior Glass tubes, offered by us, come in several colors (Amber, White, Brown and Blue) for easy recognition. - The tubes are transparent like glass test tubes. 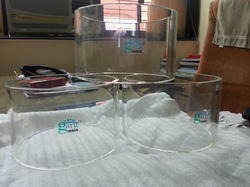 - Less shaking of sample is required as compared to glass vials. We manufacture neutral borosilicate glass tube. Simax is an old and trusted European brand with a strong history of 175 years. In an endeavour to provide our customers with superior quality raw material, we have taken authorized distribution rights of Simax's borosilicate 3.3 glass tubing in Indian market. 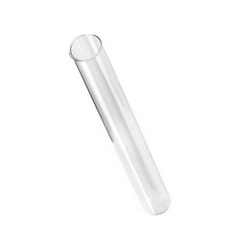 We are offering Best Quality Borosilicate Glass Tube with perfect dimension. With rich industry experience and knowledge, we are providing an excellent quality range of Al Glass Tubes. - 4.5 x65 mm for broiler bird. Glass borosilicate test tube for scientific labs.